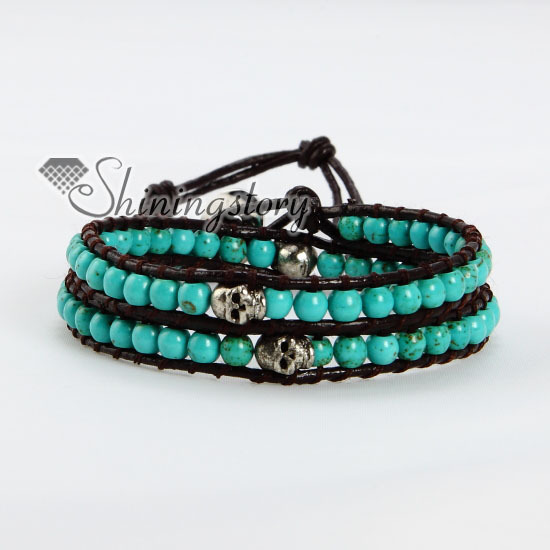 Handmade leather double wrap bracelet,turquoise beads with silver skull on brown genuine leather cords. 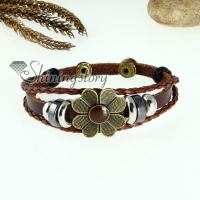 Combine Western and Asia style,sterling silver plated button,appealing design. 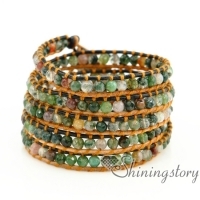 A good choice to sell in handmade store,boutique and gift store. 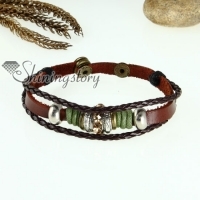 Material: genuine leather cords. 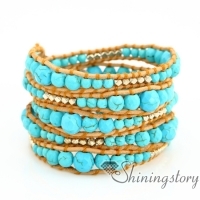 Turquoise beads. 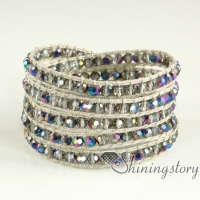 Silver plated button. 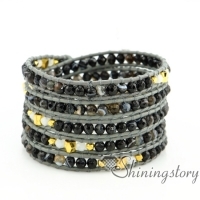 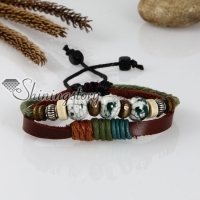 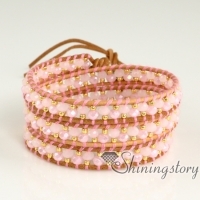 This leather wrap bracelet will be directly shipped from Shiningstory warehouse in Guangzhou China. 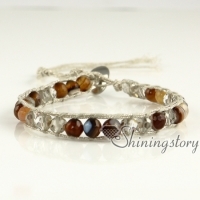 Door to door delivery by DHL or Fedex takes 4-6 days,economic airmail service takes 10-18 days. 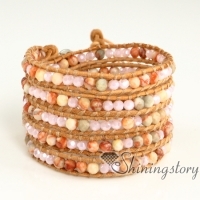 Free Shipping for any order over US$80.